To those of you still following this blog, hello! I finally managed to post something after months of no activity! From Goodreads: Ten years ago, a horrifying disease began spreading across the West Texas desert. Infected people - shakes - attacked the living and created havoc and destruction. No one has ever survived the infection. Daisy Wilcox, known as Willie, has been protecting her siblings within the relatively safe walls of Glory, Texas. When Willie’s good-for-nothing father steals a fortune from one of the most dangerous shake-hunters in town, she finds herself on the hook for his debt. With two hunters, including the gruff and handsome Ben, to accompany her, she sets out across the desert in search of her father. But the desert is not kind to travelers, and not everyone will pass through alive. 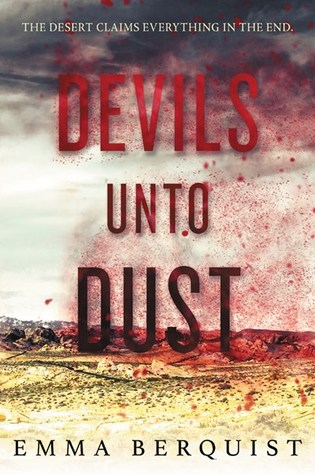 Thoughts on the Novel: During a time when I’m struggling to find the motivation to read and blog, Emma Berquist’s standalone novel Devils Unto Dust managed to somehow hold my attention thanks to its short chapters. I also thought the harsh desert setting was great since it featured all kinds of perils (e.g. shakes, hunters, sandstorms, etc. ), and liked the tough heroine of the book because she would do anything for her family and refused to be cowed by the hunters around her. Devils Unto Dust was released on April 10, 2018 by Greenwillow Books. From Back Cover: At seventeen, Mei should be in high school, but skipping fourth grade was part of her parents' master plan. Now a freshman at MIT, she is on track to fulfill the rest of this predetermined future: become a doctor, marry a preapproved Taiwanese Ivy Leaguer, produce a litter of babies. With everything her parents have sacrificed to make her cushy life a reality, Mei can't bring herself to tell them the truth - that she (1) hates germs, (2) falls asleep in biology lectures, and (3) has a crush on her classmate Darren Takahashi, who is decidedly not Taiwanese. But when Mei reconnects with her brother, Xing, who is estranged from the family for dating the wrong woman, Mei starts to wonder if all the secrets are truly worth it. Can she find a way to be herself, whoever that is, before her web of lies unravels? 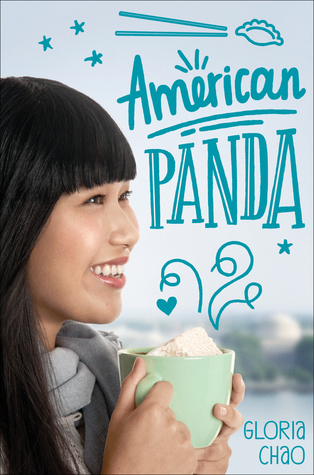 Thoughts on the Novel: American Panda by Gloria Chau was a book that seemed to have a lot of hype as a diverse read. I, however, found that it featured quite a few stereotypes and wished that it was less predictable. For example, Mei’s parents are extremely overprotective and believe medicine to be the only acceptable profession for their children. While American Panda wasn’t a bad read per se, nothing about it really stood out for me and I’ve already forgotten large parts of it. I do remember not being a fan of the insta-love romance though. American Panda was released by Simon Pulse in February 2018. In exchange for an honest review, this book was received from the publisher (Simon and Schuster Canada) for free. Whatever gets you out of a slump, yeah?